When Olivia trades her promising career for a more domestic lifestyle as a wife and mother, she expects many things but never to see ghosts much less be one. Her life with her handsome husband, Brandon, a successful criminal lawyer, starts as a happy one, but following a tragedy, guilt, alcohol and drugs crush their blissful world in a hurry. One minute Olivia is planning to leave the marriage and the next she's floating at the foot of her son's bed. Dead. Murdered. And all evidence points to Brandon as the prime suspect. She is angry and determined to make him pay, but soon, she learns that if she wants justice, she must follow the clues that reach back into Brandon's past. Suspenseful, romantic and awash in the afterlife thrill, She Never Got To Say Goodbye captures the power of love and friendship. 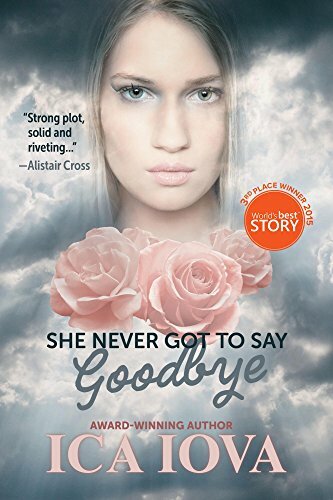 She Never Got to Say Goodbye offers us an interesting story line. The main character - Oliva - dies a short time into the story, but her character continues to play a part as a ghost. Her driving force after death becomes making her husband Brandon pay for the loss of her life. She believes it his fault. It's a great plot and the author's writing style is great. I do feel the story needed more time to develop. In only a short space, we are introduced to Olivia who is at school studying, she takes a break and goes out where she meets Brandon, she graduates, they are married, a child is born, he becomes an addict and she dies. WHEW! All that happened in a very short span. Then the story slows down as we follow a dual path. Brandon works to change his life, become a good father and opens himself up to new relationships. Olivia haunts the house, torments him in dreams and throws roadblocks in the way of his finding happiness. All along the question is explored, "Did Brandon actually cause Olivia's death?" The answer will surprise you. Iova offers a polished writing style that is easy to read, her characters are interesting and the story line intriguing. Over all, this is an enjoyable read once the pace slows and you settle into the plot. I think taking a little more time developing the story's beginning. More fully exploring the characters and their relationship early on would have taken this book to the next level. 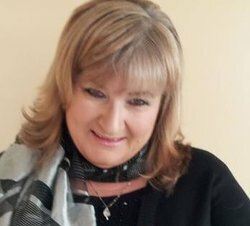 Check a fab author interview - HERE! Ica Iova is the author of several books--two of which are award winners. She Never Got To Say Goodbye, won bronze at World's Best Story, 2015, and Boundaries, was a finalist at WBS, 2014. Ica writes what she enjoys reading. In her novels, she brings to life powerful, gripping relationships and fascinating characters to whom readers can relate. A former Examiner at Examiner.com, Ica is also an avid reader and because of that, a Reader's Choice Official Reviewer. When she is not writing, editing, or marketing, she's a proud wife, mother, and grandmother, with a substantial sense of humor. She loves spending time with her family and pets, shopping for shoes, or just lazing around with a good book.